Free Download Dream Builder: Amusement Park Game or Get Full Unlimited Game Version! 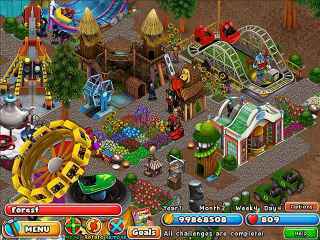 Start building your very own amusement park in Dream Builder: Amusement Park! Grow the park by adding the coolest new rides, the yummiest concession stands and the most entertaining attractions. In order to get advantaged of playing Dream Builder: Amusement Park full unlimiteg game version you must register the game. As a young, unknown architect in 18th century France, you're looking for your chance to impress the Queen. Design and manage the construction of the most beautiful structures in the kingdom!